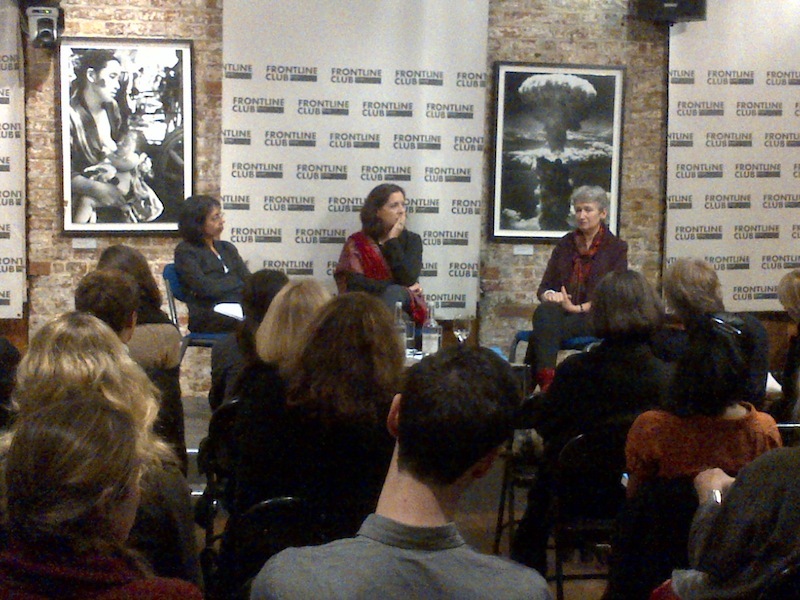 The Frontline Club hosted an evening of reflections marking the publication of Granta 125: After the War on 17 October. Two correspondents shared their personal views on developments on the ground, after the battles are fought and the camera teams have moved on to cover other wars. Roma Tearne, Sri Lankan artist, filmmaker and novelist, spoke to Lindsey Hilsum, International Editor for Channel 4 News who covered the Rwandan genocide and Frances Harrison, former BBC Correspondent in Sri Lanka.